An alternate option to dentures as well as a more permanent one, implants involve a two step process where a screw is placed where the missing tooth once was, then capped with a crown. Implants are a good option when there is only one missing tooth or a few missing teeth in random places. During your first visit, the screw will be drilled into your jawbone and then covered with the gum flap. Two months usually allow for the bone to regrow and seal the titanium screw in place. After this healing process during your second visit, the screw will be uncovered and a custom made crown will be placed. After a time for healing, the implant will be in place and ready for use. This option will fit for many people as the implant is built to last as well as being made to look and feel like an actual tooth. 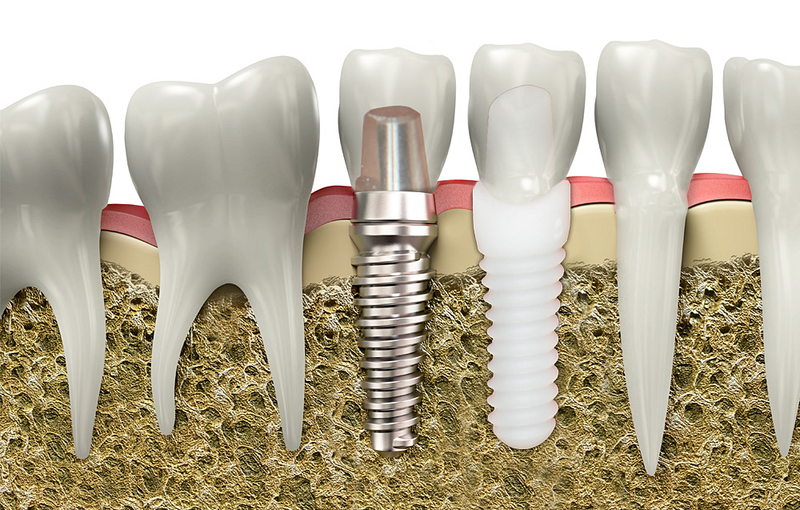 Implants will also preserve bone more than other tooth replacement options such as dentures and partials. Visit Dr. Eagar to discuss whether impants are right for you.